requirements have been promulgated for CBM extraction operations. Current NPDES permits involving such discharges must include effluent limitations that are based on the best professional judgment of the permit issuer (whether EPA or the State). The purpose of these limits is to ensure compliance with WQS. The Montana Department of Environmental Quality, for example, under the guidance and directive of the EPA Region 8, has now established technology-based effluent limitations (TBEL) for any new CBM produced water NPDES permits (managed for the EPA by Montana and called Montana PDES, or MPDES) and technology-based effluent limitations will be applied to any permits up for renewal. CBM operators are required to provide estimates or projections of produced water discharge volumes as part of the NPDES permit application process (or the corresponding state process if the authority is delegated to the state, see below). The estimated or projected produced water discharge volumes are reported in the permit application as a maximum volume (i.e. as "up to" a given volume, measured in million gallons per day, barrels per day, acre feet per year, or other units). The permitted discharge is typically associated with a pod of wells and water production per well (at the well-head) is not generally determin-able—since water from multiple wells is comingled in a single pipeline before discharge (see also Chapter 4). No in-line flow monitoring and no end-of-pipe continuous or real-time monitoring of flow is required, once a permit is issued. CBM operators are not normally required to monitor discharge volumes except as instantaneous values or measures at a moment in time on either a monthly, quarterly, or semi-annual basis essentially to fulfill reporting requirements. CBM operators are typically required to monitor and report on an infrequent, but fixed schedule. Real-time discharge volumes and water quality concentrations can vary significantly over the course of a given year leading to variability in extrapolation or application of these measurements which is important to recognize. Another consideration applied to all live (perennial) water bodies to which discharges are permitted by NPDES is that of the "mixing zone" (Box 3.1). The mixing zone is representative of the downstream portion of a receiving stream (below the NPDES discharge point) where discharge is mixed with ambient flow. Mixing zones can be and in many cases are considerations of significance in determining discharge permit allowances to water bodies. In the case of ephemeral streams, the mixing zone is considered non-existent. Consideration is given to the and quality, the discharged flow and quality, and the resulting water quantity and quality at the terminus of the mixing zone. The combination of these conditions and the presence of other discharges in the reach dictate the allowable discharge concentrations. In reality, mixing zone considerations are of much more significance on smaller streams than on large streams and rivers such as the Tongue and Powder rivers because the latter provide much greater opportunity for mixing and dilution. rulemaking to potentially revise the Oil and Gas Extraction effluent guideline to include specific limits for CBM extraction operations (see Box 3.2). The SDWA is the principal federal law in the United States that ensures safe drinking water for the public. In accordance with the act, EPA is required to set standards for drinking water quality and to oversee all states, localities, and water suppliers that implement these standards. The SDWA also regulates the construction, operation, permitting, and closure of injection wells that place fluids underground for storage or disposal under its UIC program. Thus, the SDWA governs the reinjection of produced waters from the CBM extraction process. For the most part, states have been delegated primacy of the UIC program. EPA remains responsible for issuing permits in states that have not been delegated primacy for the UIC program and on most tribal lands. Of the six states considered in this study, the EPA has delegated primacy for UIC permits to North Dakota, Wyoming, Utah, and New Mexico, and the EPA shares authority for issuing UIC permits with Colorado and Montana.17 In applying for a UIC permit, developers must demonstrate that the injection operation will not endanger any underground drinking water source. EPA has maintained oversight for permitting CBM produced water injection by subsurface drip (which requires a UIC permit; see Chapter 4 for description of these management methods). 17See www.epa.gov/ogwdw000/uic/primacy.html (accessed March 4, 2010). The CWA requires the EPA to review its effluent limit guidelines annually to determine if amendments might be appropriate to existing regulations. In cases where an amendment is being considered, the EPA first conducts a screening-level review to identify effluent categories needing further characterization. Candidates for potential review are then prioritized based on various factors such as industrial categories, pollutant discharges, and economic considerations. Pending the outcome of the screening and prioritization, a particular industry sector and/or pollutant category may undergo an in-depth, detailed review prior to any decision being made with regard to amending the CWA regulations. At various stages of this process, EPA results are published and open for public comment. Motivated by the growth of the CBM extraction industry and the potential impacts to surface waters from discharge of CBM produced water, the EPA began considering the potential to designate CBM extraction as a specific subcategory with its own guidelines under the Oil and Gas Effluent category of the CWA. A "detailed study" of the CBM extraction industry was therefore recently begun by EPA to consider the possibi lity of recommending such a designation for the CBM industry. The objective of the study for CBM extraction is to evaluate the potential environmental issues associated with the discharge of CBM produced water. The study is national in scope, with each CBM basin being considered separately with respect to potential pollutants in produced water discharges and water volumes. The work plan for the detailed study includes conducting industry surveys to collect technical, economic, and environmental data from a wide range of CBM operations across the United States; site visits and collection of ancillary data from other sources such as the Energy Information Agency; and conducting stakeholder meetings in the major CBM basins. The EPA received approval from the Office of Management and Budget to distribute the mandatory survey for the detailed study in February 2009, at which time EPA distributed a screener questionnaire. Approximately 290 operators with three or more CBM wells received the questionnaire. A detailed questionnaire was distributed to approximately 250 CBM projects in October 2009. EPA will analyze the survey results from the detailed questionnaire and identify whether to initiate a rulemaking in the final 201 0 Effluent Guidelines Program Plan. To date, EPA has contacted over 700 people in eight states in over 70 outreach and data collection activities since 2007 in connection with this activity. The results of the detailed study were not available at the time of the writing of the present report. More information about effluent guideline limits under the CWA can be found at www.epa.gov/guide/ 304m/ (accessed March 4, 201 0). Information specific to the coalbed methane extraction detailed study can be found at water.epa.gov/scitech/wastetech/guide/cbm_index.cfm (accessed August 23, 2010). I Injection of hazardous wastes, industrial nonhazardous liquids, or municipal wastewater beneath the lowermost underground sources of drinking water (USDWs) (549 wells). 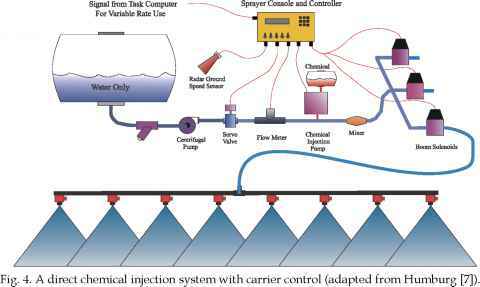 II Injection of brines and other fluids associated with oil and gas production and hydrocarbons for storage. Injected beneath the lowermost USDWsa (143,941 wells). III Injection of fluids associated with solution mining of minerals beneath the lowermost USDW (18,505 wells). IV Injection of hazardous or radioactive wastes into or above USDWs. Banned wells unless authorized by federal or state groundwater remediation project (32 sites). V All injection wells not included in Classes I—IV. Generally used to inject nonhazardous fluids into or above USDWs and typically shallow onsite disposal systems. aThe table provided by EPA describes Class II wells as "injected below the lowermost USDW." Although this may be correct in most cases, injection below the lowermost USDW is not required for Class II wells, according to UIC regulations. NOTE: Class II wells are the most common of five classes of UIC wells used in the United States and include wells used for deep-well injection of CBM produced water, as well as for injection of brines remaining after water treatment (see also Chapter 6). SOURCE: Available at www.epa.gov/ogwdw000/uic/wells.html (accessed March 4, 2010). See also www.access.gpo.gov/nara/cfr/waisidx_02/40cfr144_02.html (accessed June 21, 2010). delegated to oil and gas conservation commissions or equivalent agencies within each state (see also Table 3.1). With CBM, most reinjection of produced water is done into Class II wells although in Wyoming, a large percentage of reinjection is into Class V wells. 18See www.epa.gov/region8/ (accessed March 4, 2010).